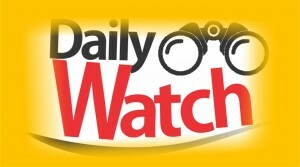 Daily Watch is an international digital news media organization with a team of crack investigative journalists, published by GECOSTAR (NIG) COMPANY, a registered firm in Nigeria with the corporate affairs commission (CAC), Abuja with registration number PH-067037 and Tin number SS/WA/VT/06/ 19018028-0001. It is masses driven and committed to ensuring that the interest of the masses is protected at all times. A vision to promote global democracy, peace, unity and security and advance the socio-economic well-being and rights of the people, promote and enrich an African cultural heritage. We want to ensure free press with a knack into investigative journalism that will promote robust advocacy for the best media practices, good governance, transparency and human rights with the right values in a modern society. We believe that we can contribute our quota for an ideal society, by pursuing political and social agenda in support of a better society that helps to build visions and hope for the youths for a better future. To achieve this, we sincerely appeal to our esteem readers,both local and foreign institutions to give us the necessary support to carry out our organizational set goals. To our esteemed readers, Daily Watch is not the usual news media organizations that you know that hurriedly go to the press to meet deadline without thorough details, that end up retracting published news stories and rendering of coerced apology by court. We are patient, calculative like the eagle to watch carefully to avoid the usual editors’ mistakes/errors. We will find stories where there are none to the eyes of the ordinary reporters. We will stand by our published stories at anywhere or anytime as fairness and accuracy are our watch-words. All our news sources in the course of our investigation have equal rights, respect and fair-hearing as part of our modus-operandi with no vested interest on any party. We tell the story from both sides. OUR VISION; To be a veritable investigative media organization where both the government and the society will be daily watched by reporting the news accurately behind the news without fear or favour. OUR MISSION; To impact positively on our society by providing high quality, reliable and accurate information to our readers/clients for result- oriented media products for building peace & unity, knowledge, political stability and economic prosperity. Warning! Apart from general news, do not bother to send us any story without verifiable sources and back-up documents as our refusal to publish them may offend you. Investigative journalism is all about facts.